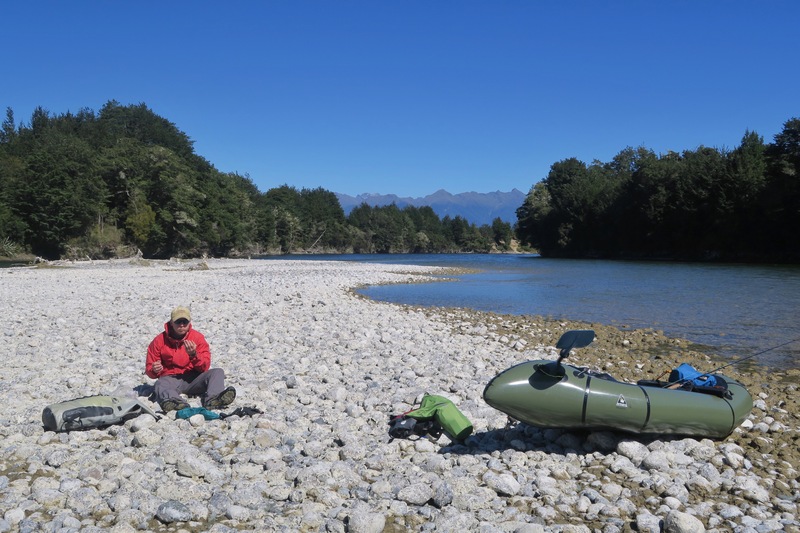 Cycle touring opened a world of travel and exploration for us, and we can tell that packrafts – a magical little boat that fits in your backpack or on your bike and can be blown up and packed down in minutes – are going to open our world even further. 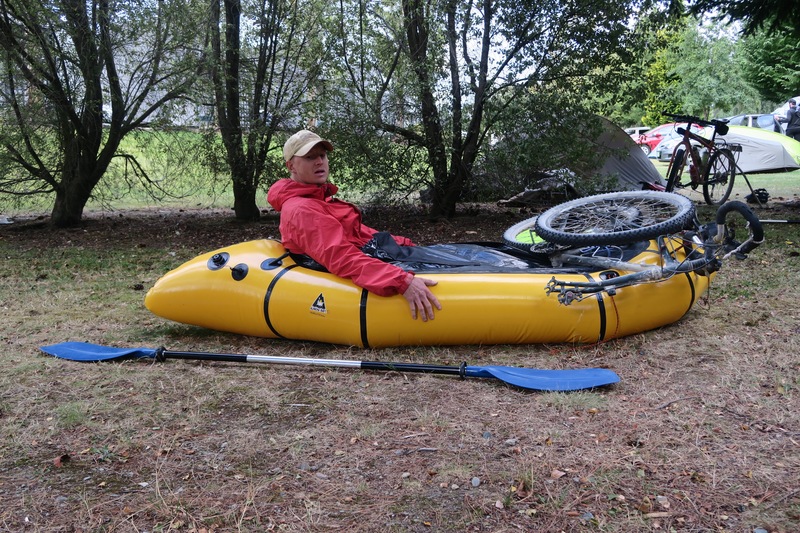 Packrafts are lightweight (4-5 pound) rafts which fold up small enough to put in your backpack or on your bike, yet are durable enough that experienced rafters use them to travel down the Grand Canyon. 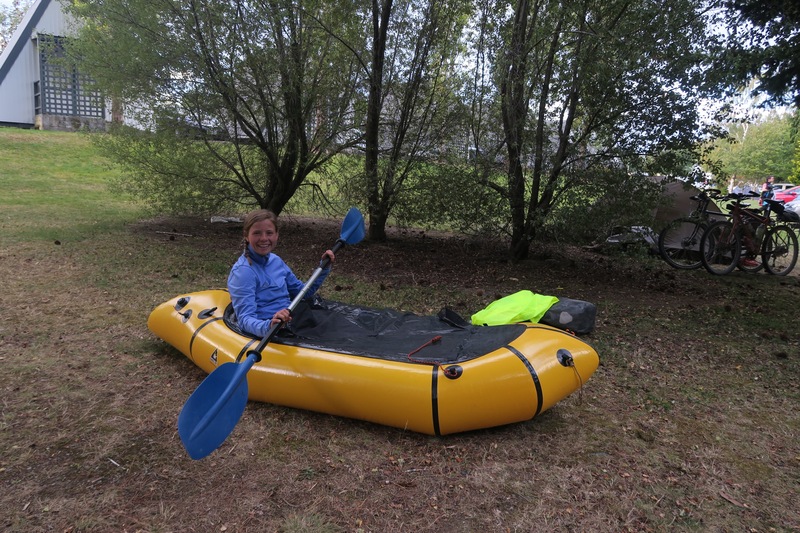 For us, they are a small practical boat – that will fit in our apartment – which will allow us to explore new areas by paddling across lakes or down quiet rivers. We will be able to enjoy campsites otherwise inaccessible by roads or even trails, cross rivers on biking or hiking trips, and fish and hunt a whole new terrain. You roll them out then fill them up! It’s seriously that simple. It takes us about five minutes, though I’m sure those with practice can do it much quicker. And then you go! Preferably once you are in water. Or if you are like us you attach your bike to the front first. Then you go. And then you cycle back home once you are finished. 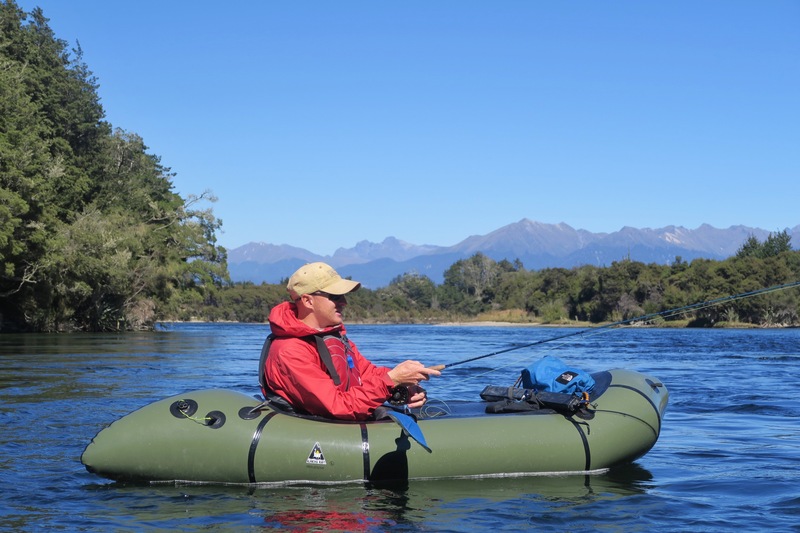 Alpacka began making packrafts fifteen years ago and is still the leading brand today, hand making each boat out of Colorado. 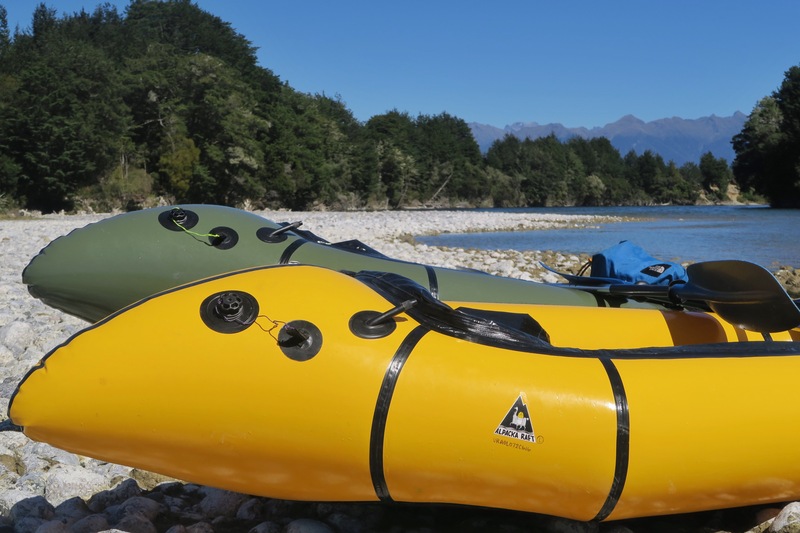 Their most popular line – the Alpacka – has a size for everyone (we are using the Llama which is the large), while they also make a few even lighter weight boats and a tandem. 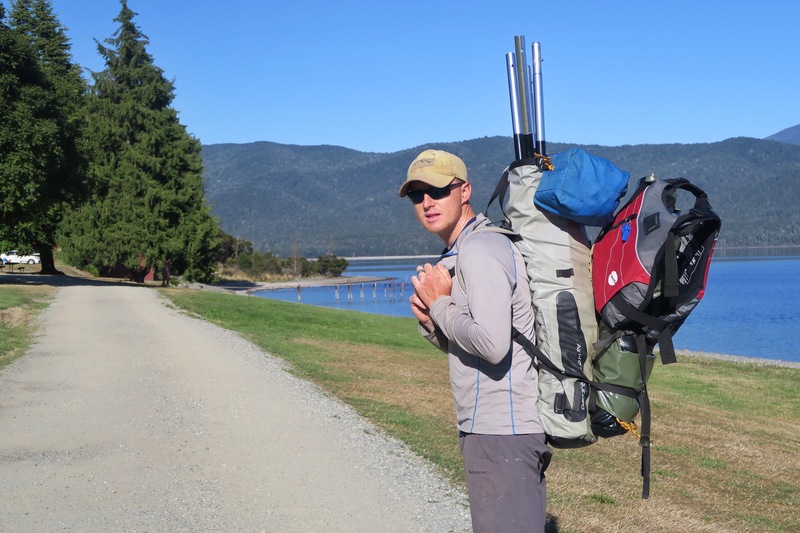 They have add-on’s for many of their boats – spray skirts and internal storage which we will get to try out this trip – and sell four-piece paddles and lightweight dry/paddling suits. 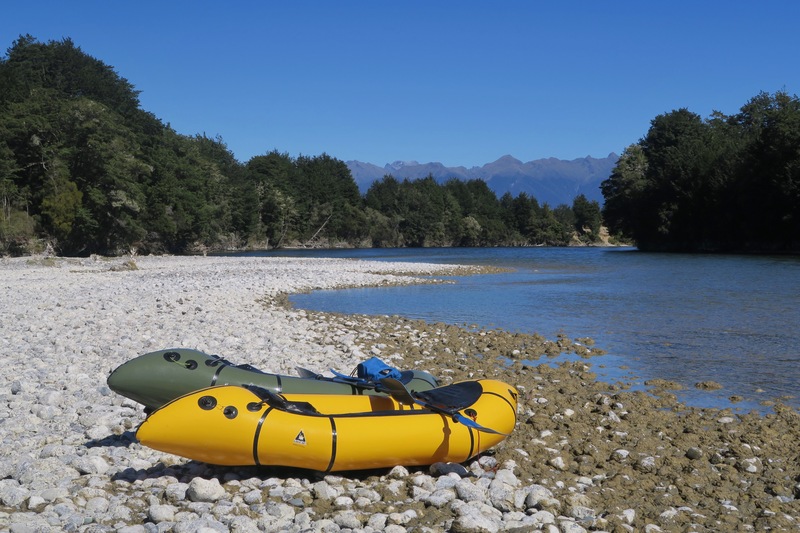 They even have a three year guarantee with their boats and the packrafting guru we met here in New Zealand has already had his for six (with only one hole ever, which was easily repaired with a patch kit). 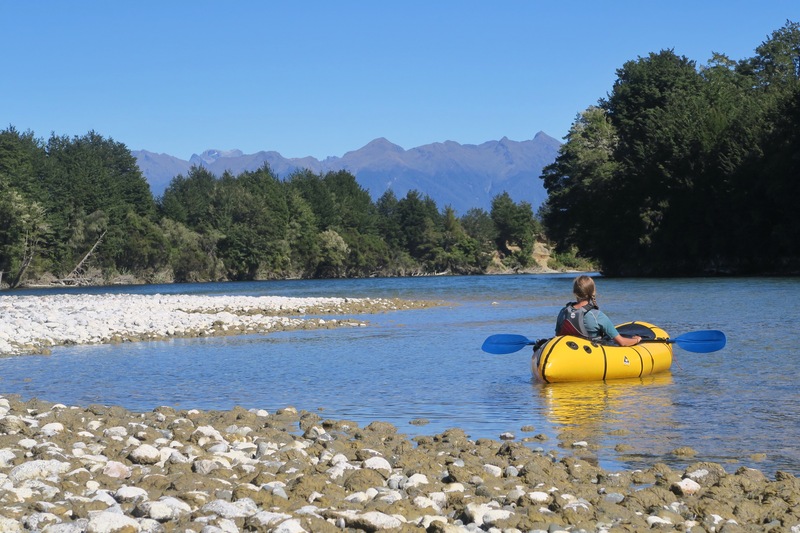 Before embarking on an eight day trip – down the Waiau to the sea before biking to the end of Lake Manapouri and then paddling across – we decided to test them out for the day (without the bikes attached). 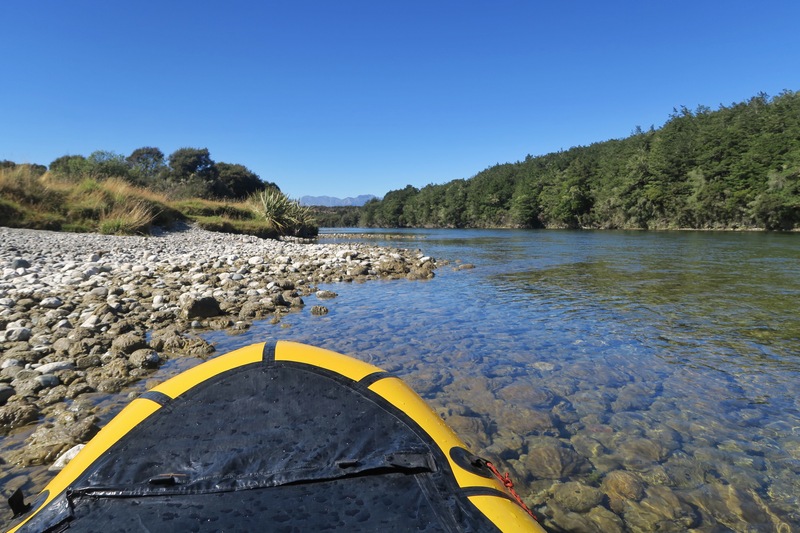 We hiked from our campsite right in town with everything in our one small backpack (two would have been nice) and put in at the start of the Waiau river. We then spent the afternoon paddling amongst jumping fish in what felt like the middle of nowhere even though there was a popular trek nearby, and a road not too far away. 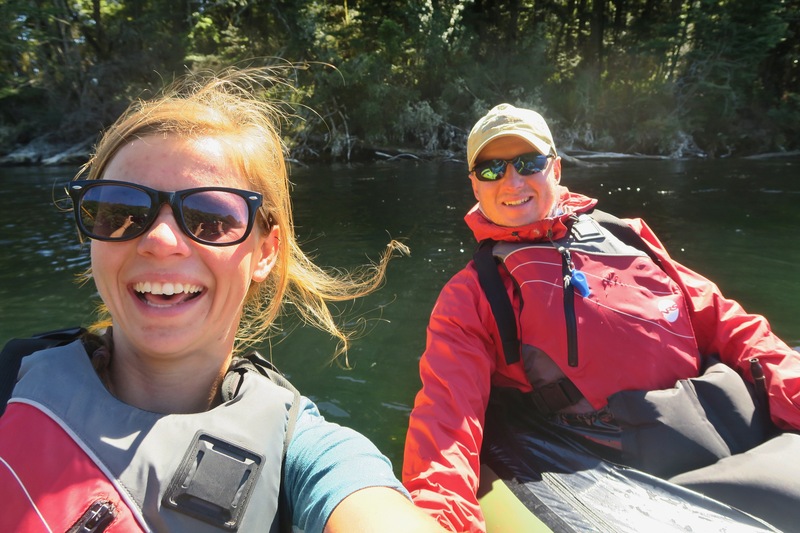 Once we were done we hiked out to the road and hitchhiked back to town – something which definitely wouldn’t have been possible with any other boat! 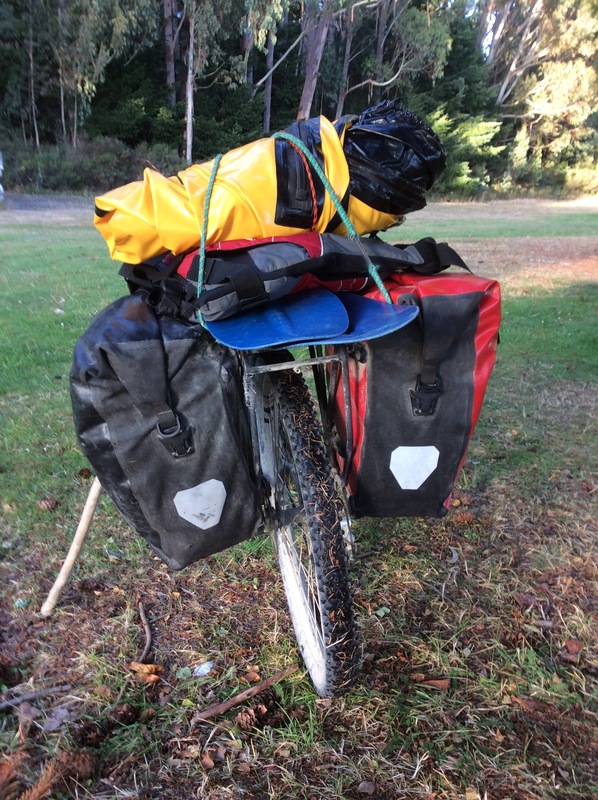 The blue bag you see hanging off is a homemade throw bag – our old stove bag, rope, and chunks of foam from a kids water toy. 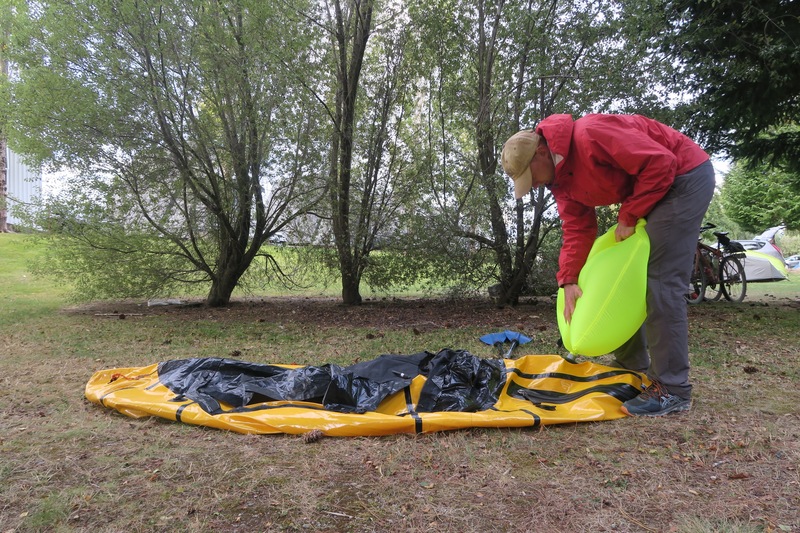 Since we didn’t come to New Zealand prepared for packrafting we are making due with what we have (or can make). Or how about a gentle ride to a quiet picnic spot? If you couldn’t already tell, we are beginning to get a bit obsessed; the possibility are endless! 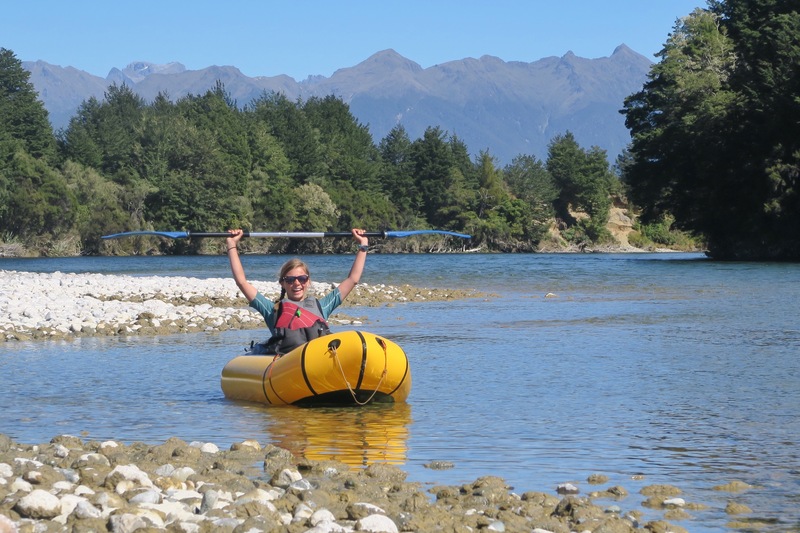 If ever you are in New Zealand and want to try packrafting, make sure to check out Arno at Packrafting New Zealand for rentals or guided tours ranging from one to six days!